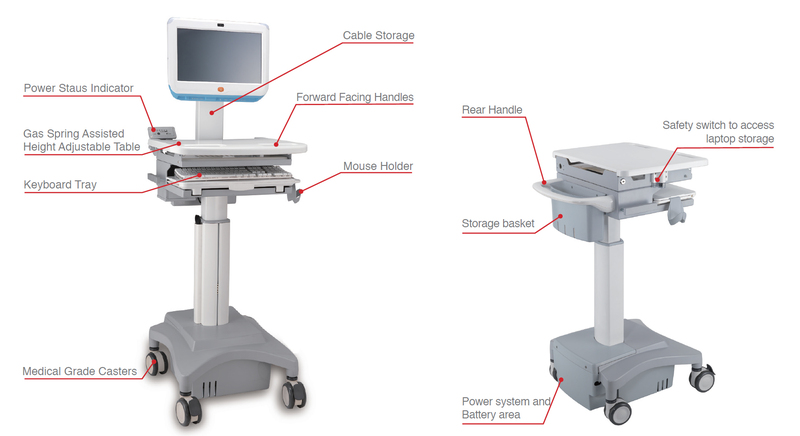 Medical Cart HC-102 – Without power system, is a medical cart design to be used with 2 screen. 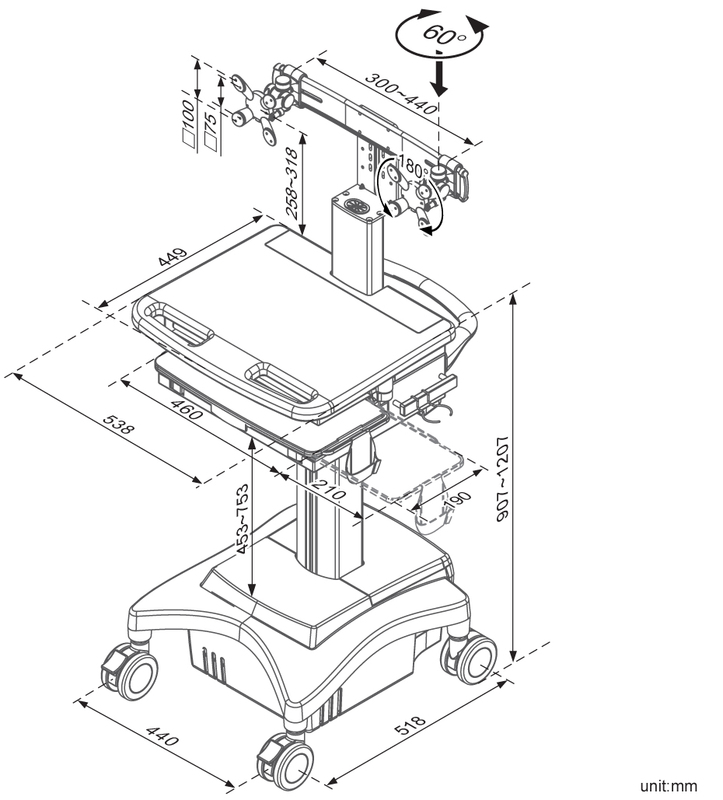 This medical cart is the same as HC-122, but without the built in power system! 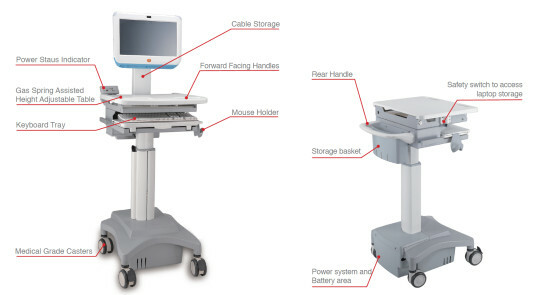 With this medical cart you can add your company preferred power supply system. So you have the ability to add batteries that can supply power to a laptop, mounted CPU, screens or other equipment that requires power. Ergonomic design to accommodate the largest range of doctors and nurses. 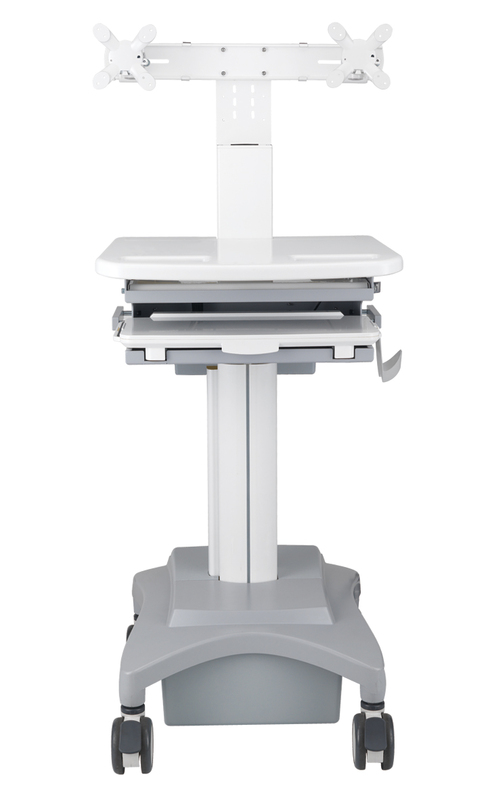 It is designed for sitting or standing work, the height easily be adjusted by one button from 907 mm to 1207 mm work height. 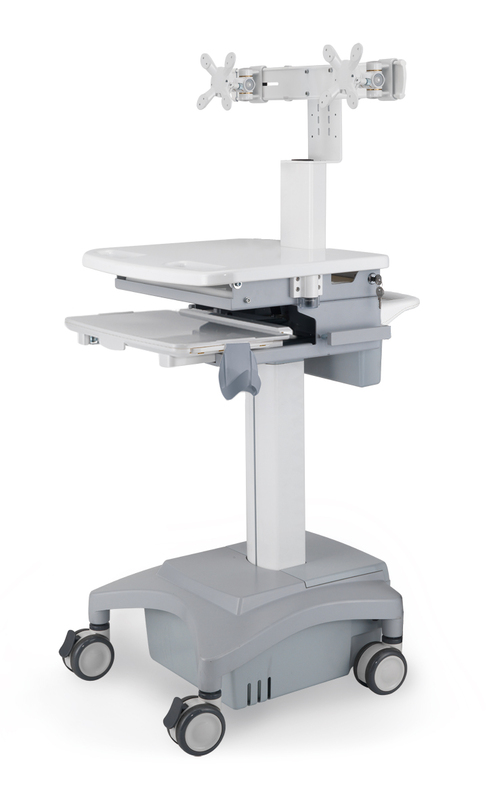 Medical cart HC-102 is a small and practical, and can easily be moved from room to room, across hard surface floors or carpet floors, thanks to its high performance casters. It is also perfect for areas with tight spaces. 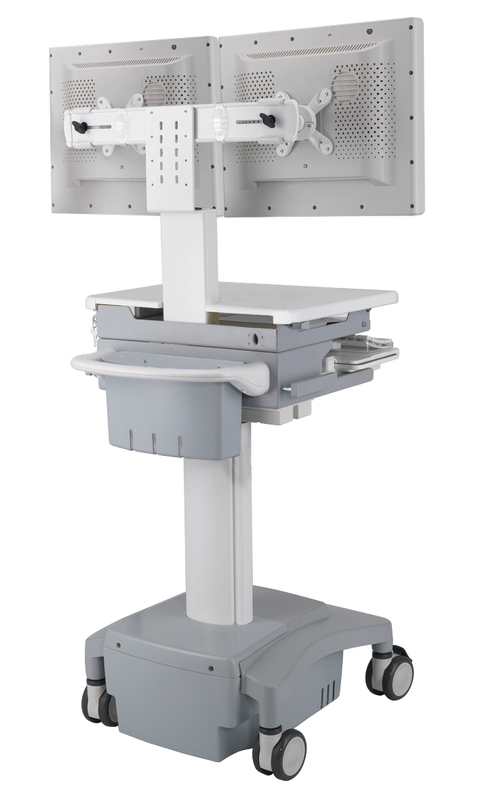 It can be used with many different screens even widescreens, the screen need to have VESA mounts 75 x 75 mm / 100 x 100 mm. Max weight 15 – 20 kg. patient at the point of care. 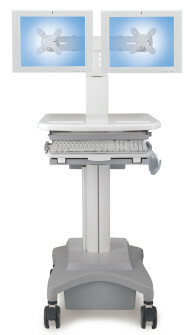 Easy to clean design helps prevent infection. Smart cable management for an organized look. 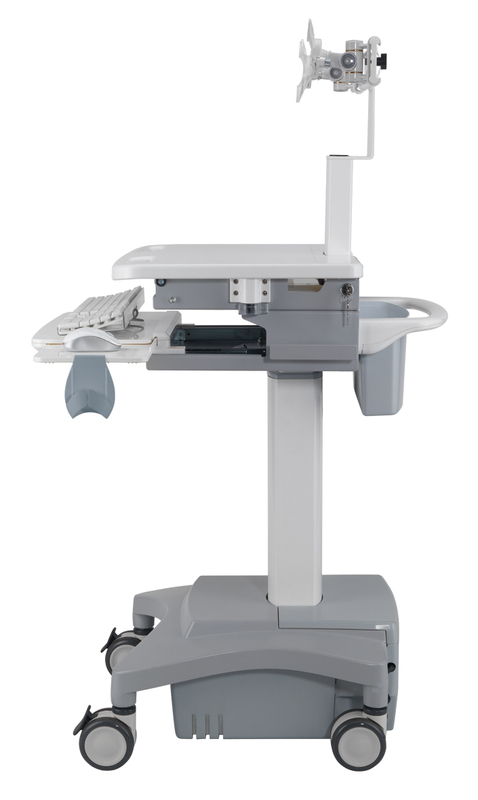 HC-122, but without the built in power system!